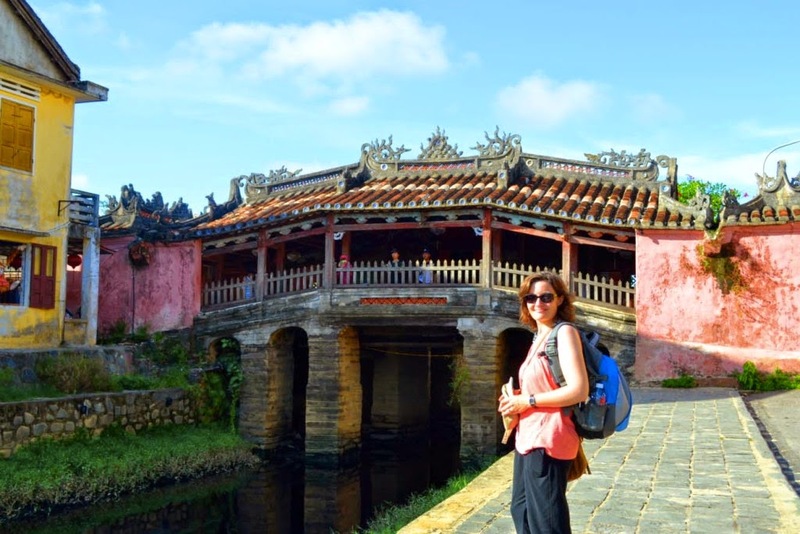 If you have seen photos of Hoi An Old Town in Vietnam, you must remember a charming bridge in Japanese style, looking like a pagoda rather than a bridge. People call it Japanese Bridge or Japanese Cover Bridge. Local people call it “Chua Cau” literally mean “Bridge Pagoda”. This old bridge is a highlight of the town thanks to its special architecture. 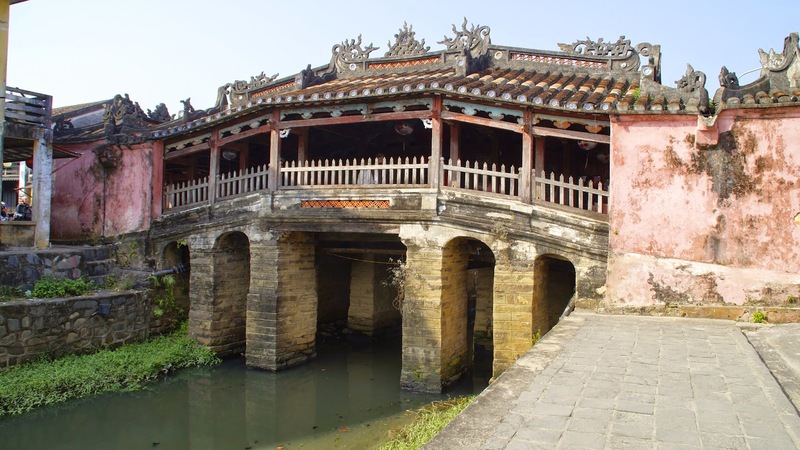 According to the story of the old in Hoi An, the bridge was built to “control” the monster of Mamazu, which lies on many countries with its head in the territory of India, its back in Vietnam and its tail in Japan. It was told to cause earthquakes and calamities. The Japanese bridge was constructed in 1593 by the Japanese trading community to keep their connection with the land. The fact that it remains until today shows a part of history of the Hoi An Old Town, with a nice trace of the Japanese influence. 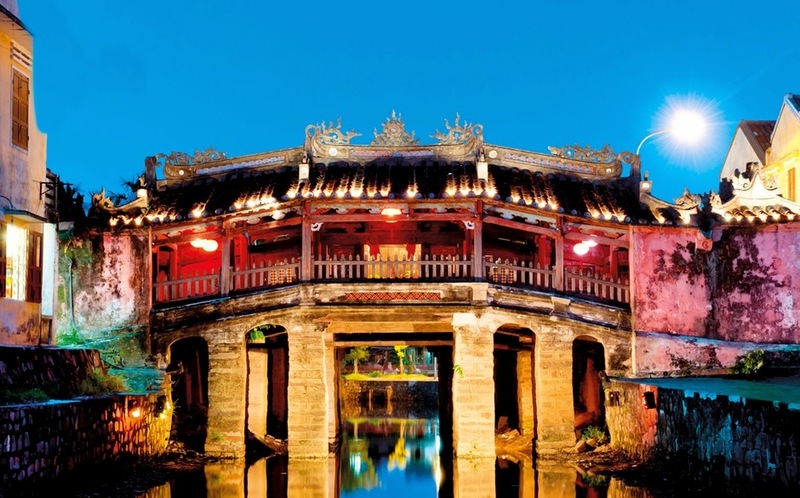 The bridge is quite short, only 20 meter long, connecting 2 major streets of Hoi An Old Town: Tran Phu St and Nguyen Thi Minh Khai St, across the poetic Thu Bon River. Its graceful curve of the Japanese Bridget is sculptured sophisticatedly with the mixed patterns of Vietnamese and Japanese. Japanese Bridge is renowned for the elaborate decorations. Be attention at the little porcelain bowls used to cap the ends of the tile. This is considered a must see in Hoi An for a worship place and taking photo shoot. Additional, visitors also find interesting galleries at the other end of the bridge. Although the old wooden sign at the entrance of the bridge, hung in the early 1700s say "Japanese Covered Bridge", it was later changed into "Bridge for Travelers from Afar". Any travelers from afar shouldn’t miss this special space. Additionally, combined with the Hoi An - My Son jeep tour to discover all the ancient beauty of the Central Vietnam. Tags: Vietnam tours, Vietnam luxury travel.